Grandma Takes A Trip is two levels of retro heaven. 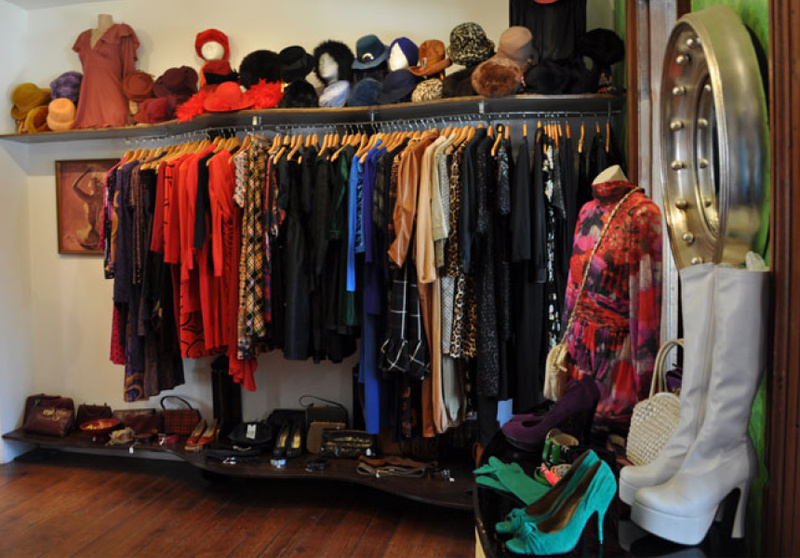 One of the city’s best vintage boutiques, the Sydney institution sources stock exclusively from Europe and the UK and features a vast range of cool and classy threads from the 50s right through to the 90s. Mixed in with the colour-coded racks of elegant cocktail dresses, psychedelic mini skirts and soft fur coats, is Grandma’s own label, Altered State – a collection of limited-edition vintage inspired pieces made from recycled fabrics. 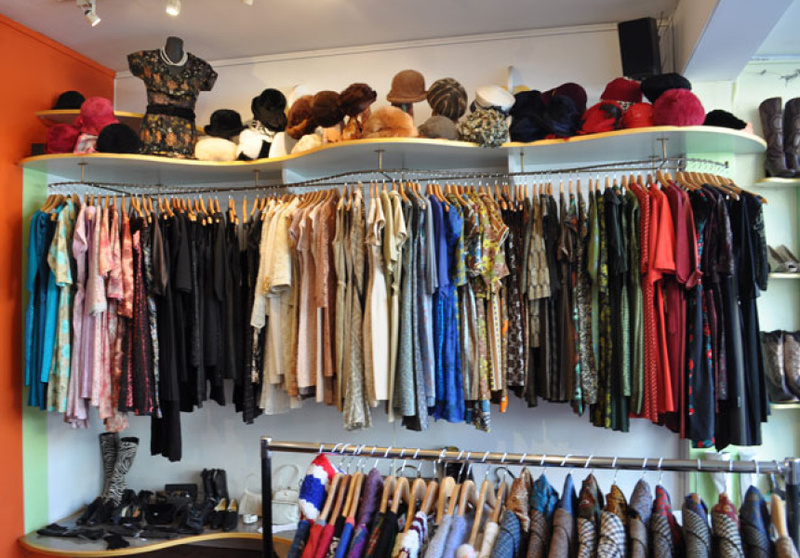 There’s also a wonderful collection of costume jewellery, shoes, scarves (even Christian Dior silk) and unique hats (perfect for the races), not to mention the amazing 70s glomesh bags. 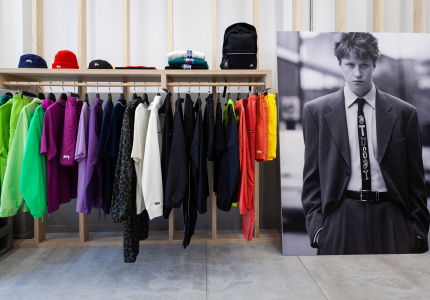 Boys should head straight to level two for an equally impressive menswear section. 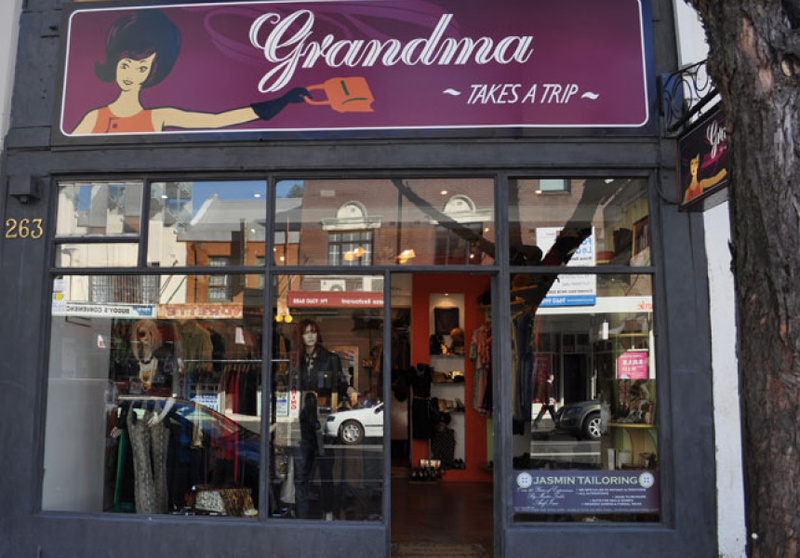 Founded in 2001, the Surry Hills store was the very first Grandma’s to open its doors. 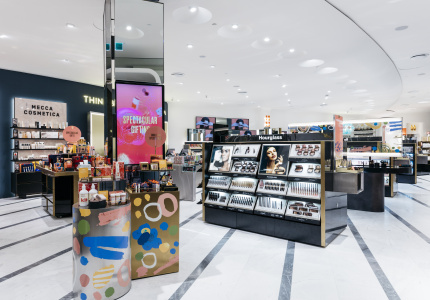 Since then, it has grown such a strong celebrity and fashionista following that owners Nicola Sault and Andrew Duckmanton decided to open up another store in Bondi and launch The Warehouse in Ultimo exclusively for their numerous film, TV, stylist clients.